OhAbbi x LiveGlam KissMe Favorites Collection! Hey, Glammers! 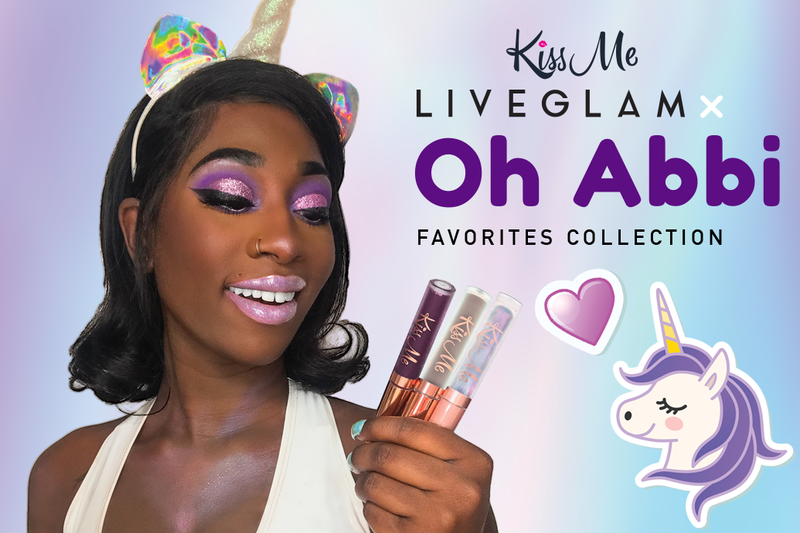 We’re so excited to partner up with one of our glam-azing Diamond Affiliates (and our favorite unicorn), OhAbbi, so that you can get your hands on 3 of her favorite LiveGlam KissMe lippies from our previous Collections! Whether you’re a new or existing member of any of our Clubs, as well as a non-member, you can purchase Abbi’s fav shades to bring out your inner majestic creature starting October 8th at 9am PDT! Keep reading for all the info you need to have a flawless experience with getting these lippies. Bring out your irresistible yet devious side wearing this deep, vampy plum lippie. This shade will be your new secret weapon! This matte grey shade means business. Turn up your edginess and make a statement when rocking this lippie! 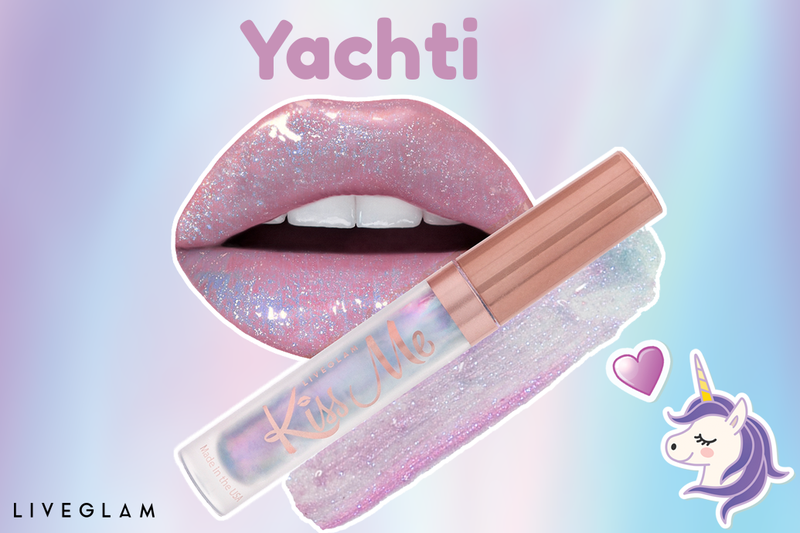 This iridescent lip topper will let you inner unicorn shine! Wear it alone or on top of any lippie for a mesmerizing, sparkly purple sheen. This shade also has our new casing since it’s from a more recent Collection! So how do you get your hands on these tempting shades? You’ve got 3 options, and you can purchase up to 2 sets maximum while supplies last! If you’re already a member of any of our LiveGlam Clubs (KissMe, MorpheMe, or ShadowMe), you can get Abbi’s Favorites through our Shop page at an exclusive member price of $19.99 starting October 8th at 9am PST. There’s no code required, BUT if you use Abbi’s code ohabbi at checkout, you can get an additional 10% off your order while supplies last! Please note you will only get the 10% off if you use Abbi’s code starting on the 8th. No other promotional codes will apply. 2. Not a member? Sign up for KissMe and become one! 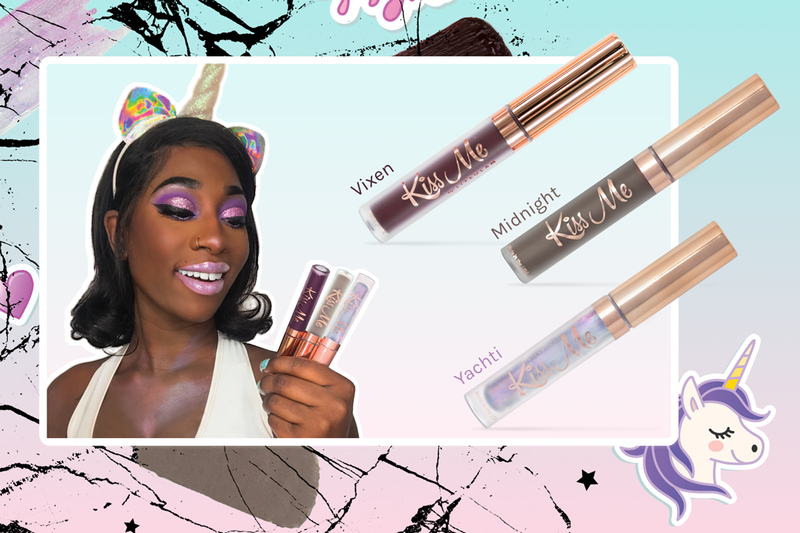 By signing up for KissMe, the world’s first liquid lippie club, you’ll get Abbi’s favorites for the $19.99 member price.You’ll also get an additional free lippie when you use her code! However, you only have 4 days (until October 11th at 11:59pm PST) to redeem this offer! Once the 12th hits, Abbi’s favorites will only be available on our Shop page at a higher price if you’re not a member. So, if you sign up starting October 8th with Abbi’s code, you will receive her Favorites Collection. You will then receive your next set of lippies from our subscription in November. Please note that if you sign up for KissMe and cancel before your next billing date (1 month after you sign up), you will be charged a $7 non-member fee since the special member pricing is only for Glammers who want to be a part of our monthly clubs! 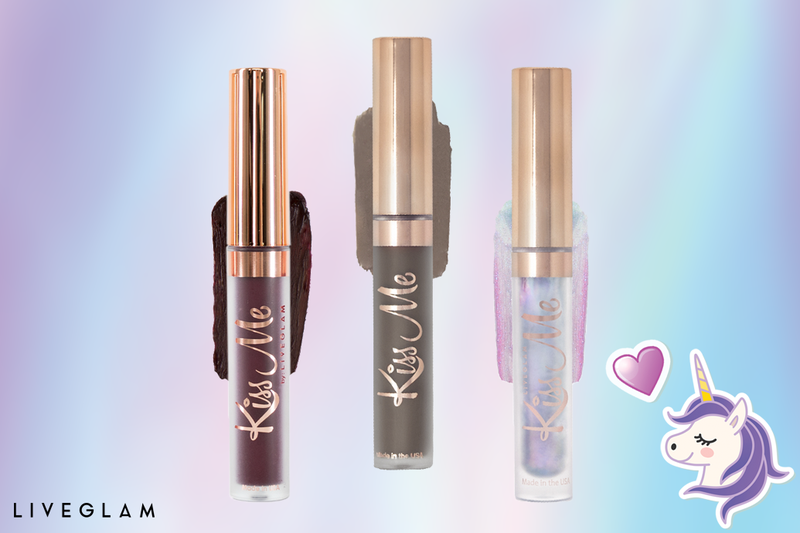 On every 23rd of the month, a new KissMe Collection launches with fresh new shades! If you sign up today, you’ll be charged again in about 1 month to receive your next Collection. For example, if you sign up on October 8th, your next payment will be November 8th for our November lippies. You can also always change your billing date through your Dashboard! Head here to join today and start getting lippies! Don’t forget to use the code ohabbi at checkout starting on the 8th. When will you get your lippies?! How long does it take to get your lippies? We should ship all orders in true LiveGlam form- within 2 business days of your order. Once they ship out, you’ll get an email with a tracking link so you can keep a close eye on them. Domestic orders should take 3-4 business days to arrive, and up to 10 business days depending on where you live and your local carrier. International orders take about 7-10 business days, and up to 20 business days depending on local carriers and customs. Once it’s in transit, we cannot control delivery times but are using expedited services! Log in, head to your account page, and scroll to the Subscriptions tab. If you subscribed, you’ll see your order history under the KissMe tab. If you purchased in Shop, scroll a tad further to get to the Non Subscription Orders section. Click the “eye” next to your order number, and you’ll get updates on the order processing! We hope you unicorns are as excited about Abbi’s Favorites Collection as we are! Please be sure to read through all of this info carefully so you know exactly what to expect and what your options are. We want this to go as smoothly for you as our lippie applications! If you have any additional questions, you can always contact our Customer Happiness team at [email protected]. La’Toya: Congrats Abbi! You deserve whatever is in store for you! Keep being the best you! Amia: Can’t wait...just love Abbi an I’m sure I will love these 2.
sams: Love Abbi. So glad she got this opportunity. Order is on the way!!! Hazel: Congratulations abbi 🦄🦄 Can’t Wait For Mines to come in the mail ! !